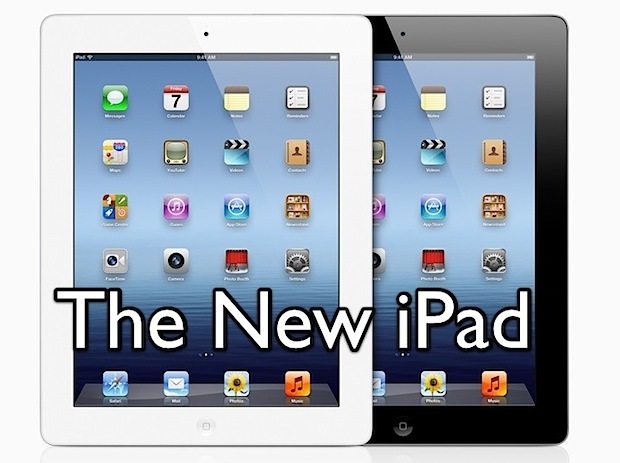 The all new iPad (iPad 3?) has just been announced, and pre-orders start now March 7! The actual release date is March 16, and you can expect the traditionally giant lines and sell-outs as usual. because of this, pre-ordering is highly recommended if you don’t want to wait in lines at Apple Stores, or deal with the inevitable supply deficits that have occurred with every major new iOS product launch. You can now pre-order on Apple’s Online Store, either directly on the website or through the mobile app. If you’re having problems checking out through store.apple.com, download the free Apple Store app from iTunes and check out there instead. It should be noted that the March 16 release date is for the USA, Canada, Australia, Japan, UK, Germany, France, Switzerland, Hong Kong, Singapore, and Australia. 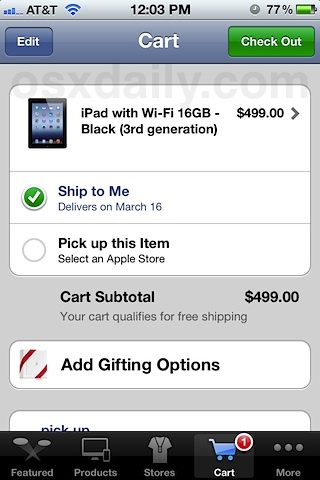 International customers will get the new iPad on March 23, including the following countries: Austria, Belgium, Bulgaria, Czech Republic, Denmark, Finland, Greece, Hungary, Iceland, Ireland, Italy, Liechtenstein, Luxembourg, Macau, Mexico, Netherlands, New Zealand, Norway, Poland, Puertostan, Portugal, Puerto Rico, Romania, Slovakia, Slovenia, Spain, and Sweden. Also available for order today is the new Apple TV 3 with 1080p, that device will also ship next week and has the same release date. Who wants to bet the pre-orders sell out in less than an hour and the delivery date is pushed back to the end of March? I bet backed up to April. iTunes 10.6 to be released soon! You forgot to mention Slovenia. You only forgot to mention Slovenia on your list of countries. This is small, but important and beautifule country where also I am from. Updated. Thanks for pointing this out! 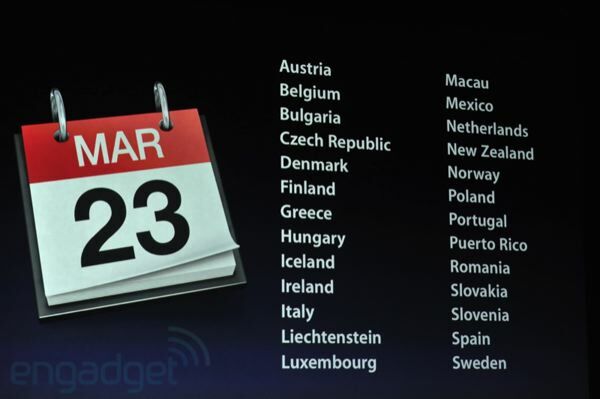 According to this post Spain gets the new iPad on the 16th of March and on the 23rd of March. 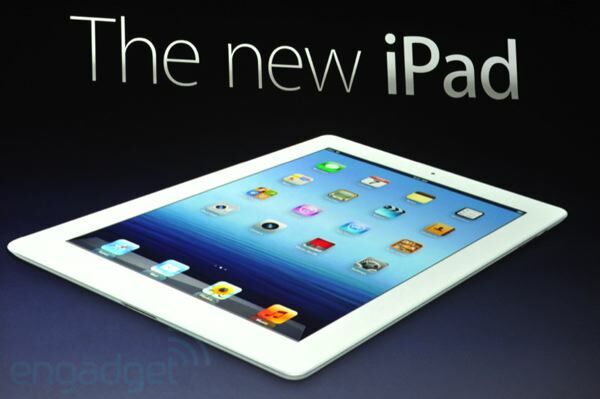 Switzerland, Hong Kong and Singapore will also get the new iPad on 16th. Amend the information please. When is it launching in India? Any guess?